Endodontic is a Greek word that means “inside the tooth.” “Endo” means inside, and “odont” means tooth. 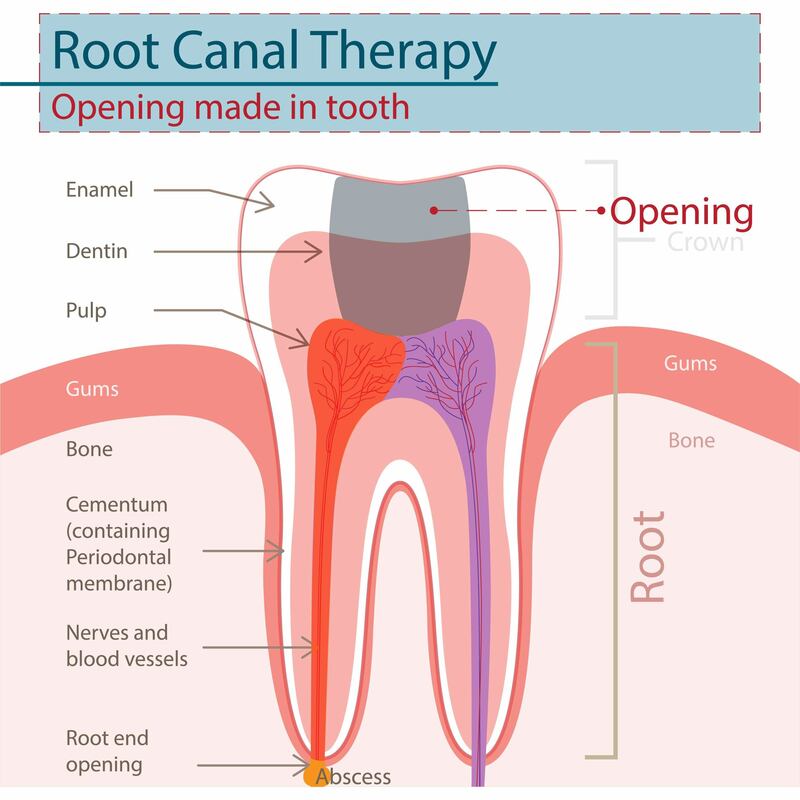 Endodontists are specialists in root canal therapy. Your general dentist can also perform root canal therapy and probably does quite often. Endodontics developed back in the 17th century as a way to relieve pain, preserve teeth, and maintain exposed pulp. Because tools, techniques, and materials were rudimentary back then, the procedure developed a bad reputation which has stuck throughout the years. 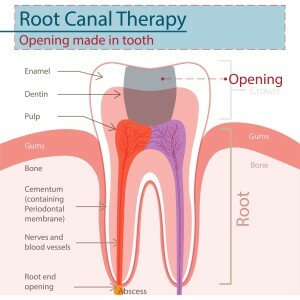 Today with the consistent development of endodontics, the materials, tools, and techniques are highly developed making root canal therapy almost identical to placing a filling. With the development of dental anesthetics and sedation, root canal therapy can take place pain free. First the area around the tooth will be numbed with a local anesthetic, and for patients who suffer dental fear or anxiety we offer sedation as an additional measure. When dental decay or infection reaches the pulp of your tooth it can cause serious pain. The pulp of your tooth consists of nerves, blood vessels, and live tissue. The only way to relieve the pain is to remove the compromised dental pulp and replace it with a non-living material. That’s what is done during a root canal. Your dentist will remove the infected pulp and replace it with a putty-like material. After its initial development, your tooth can live without the pulp, while the outer dentin remains intact. Saving your original tooth can eliminate future problems such as shifting teeth, atrophy of the underlying jaw bone, and the need for a bridge or dental implant. With over 25 years of professional experience, Dr. Steven M. Huffstutler and his caring team proudly provide exceptional preventive, cosmetic, and restorative dental treatment to patients and their families across Dallas/Ft. Worth, including North Richland Hills, Denton, the Mid-cities, Southlake, and all surrounding communities. We also have extensive experience helping patients find relief from painful TMJ disorders (various forms of jaw dysfunction). To schedule an appointment with Dr. Huffstutler, contact his Fort Worth, TX office today by calling 817-577-1444.